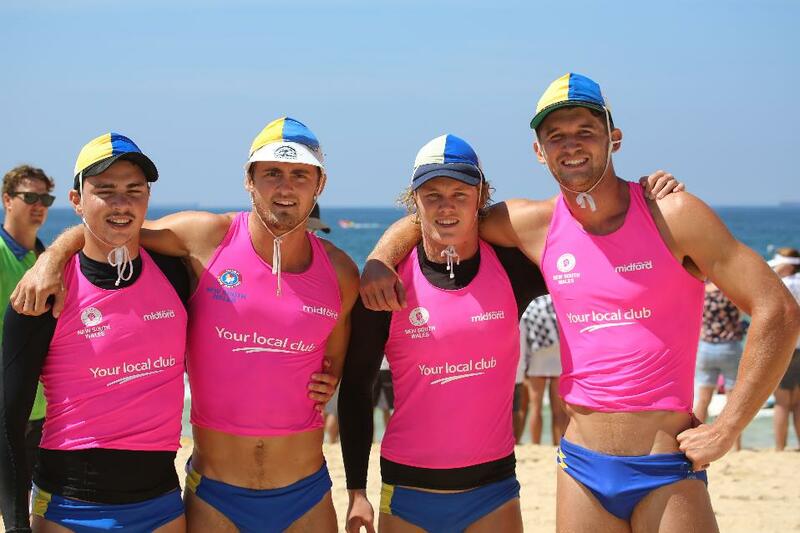 2019 NSW Surf Life Saving Championships: Opens - Newport Wins!! 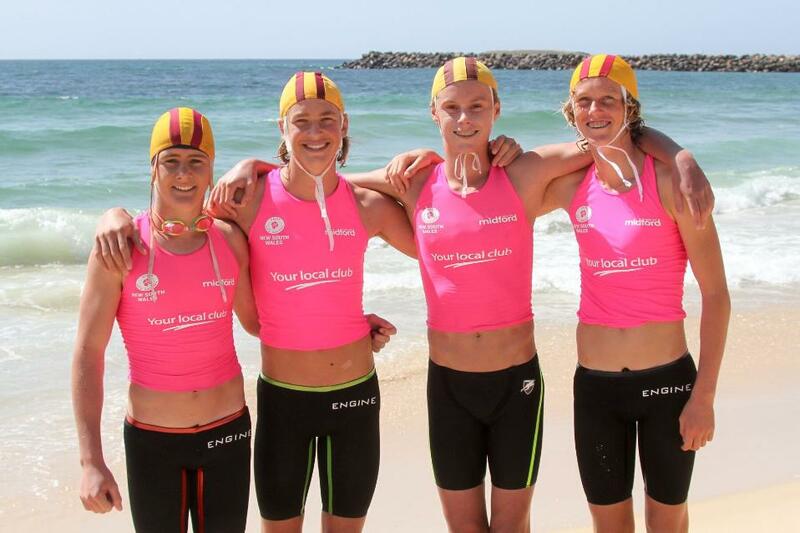 After two days of competition, Newport SLSC the current title holder, are on track for their 6th Open win at the 2019 NSW Surf Life Saving Championships at Swansea Belmont SLSC this weekend. Blake Drysdale reclaimed his Open Male Beach Flag title and together with wife Laura Shorter, Bethany Pate and Jake Lynch, also won the Open Mixed Relay for Newport. But it was in the water that the competitors were on fire. The Morris brothers Mitch and Jake backed up in fine form after last weekend to take out the U15 Board Relay with Joel Piper. The U15 boys also won the Cameron Relay and Joel Piper and Brandon Bartlem won the Board Rescue. In the Opens it was a Newport whitewash with Mitch Trim and Luke Jones winning the Double Ski and teammates Jayke Rees and Greg Tobin behind them by inches, making for some great friendly rivalry on the race to the finish. Morrison, Rees and Trim also won the Ski Relay and the club won the U15 and Open Male Surf Teams and the U17 Male Ski Relay. Hannah Minogue and Mitch Trim nailed the Mixed Double Ski. And it wasn’t just the boys who brought it home, with Emily Doyle and Madison Louw winning the U19 and U17 Female Surf Belt Race. 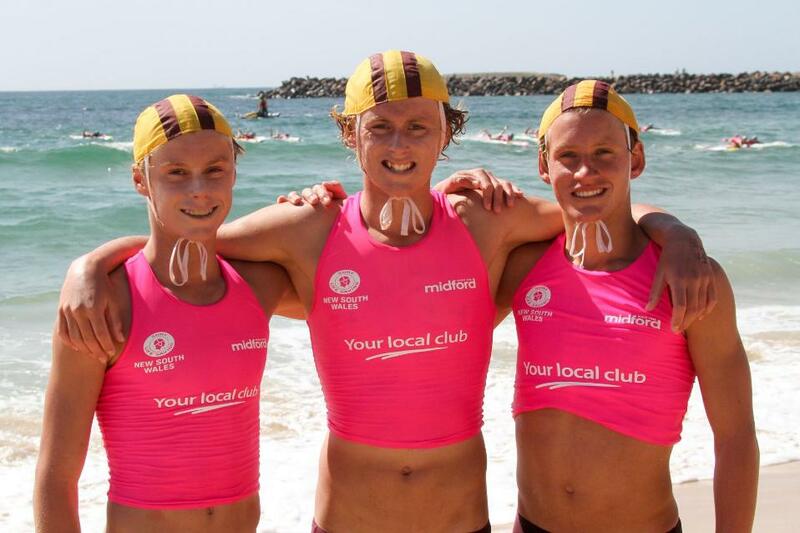 The U17 and U19 Female Taplin title also fell to the Northern Beaches powerhouse and the club took out first and third places in the Lifesaver Relay. The 2019 NSW Surf Life Saving Championships, proudly supported by Your local club conclude on Sunday with the Open Ironperson, Taplin and Board race events, surf boat finals and all the ceremony of the March Past parade to kick off the finale to the state’s largest surf sport event. Open Ironman hopeful Max Brooks, despite being ruled out of competition with bruising to his hip, joined the team on the beach encouraging his mates as they continued to cross the finishing line. The highpoint coming as his training partner Jackson Borg took out the Open Ironman. And it did. At Swansea Belmont Jackson held his own when pinned in a tight cat-and-mouse with Manly’s Kendrick Louis and Jay Furniss. When the three hit the beach he pounced for the run to take out his first Ironman State Title. The foundation of the glory for Emily Doyle and Zac Morris also included going beyond the training call of duty. “Zac battled a stomach bug that kept him and a number of team-mates up most of the night before finals day. He worked to put it aside and rise to the occasion winning the Under 17 Single Ski and Ironman and tie for the win in the Board with Nick Stoddart of Swansea Belmont,” said Carroll. Everywhere you looked, Emily was crossing the finishing line in both the Under 19s and Open events. After a solid season in Ocean 6, she finished her State Championships with silver medals in the premier Open Ironwoman and Taplin Relay. These were just two of her 13 medals from 20 events. The Newport beach team was not short of success with a super Saturday of finals accruing vital points. Despite carrying a shoulder injury Jake Lych competed in the Beach Sprint but swapped the Flags for a stint as beach commentator. Lynch and fellow Australian Champion beach competitor Laura Shorter secured silver in the Open Beach Sprint, while William de Vries got a fourth in the Under 19s. 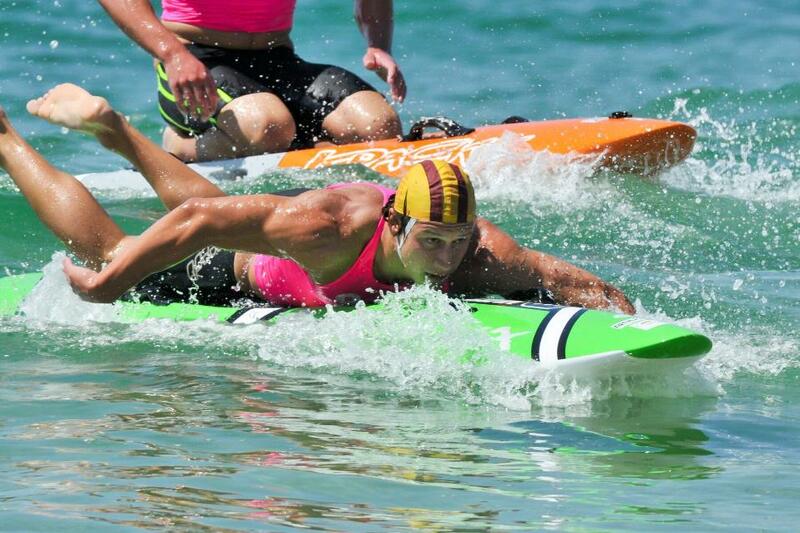 Veteran State Champ Blake Drysdale continued his sucess reclaiming his Open Male Beach Flag title and sixth in total. Together with wife Laura Shorter, Bethany Pate and Jake Lynch, also won the Open Mixed Relay their club. "The team as a whole went so well and we're showing we're still one of the top beach teams in the State," said Drysdale. "I was glad to regain my title in the Flags to be part of our winning relay team with my wife. We went really well in both the men's and women's Opens Beach Relays with bronze medals in both. "I've been racing at State Championships for years. I started as a Nipper and I just love it. It's all about competing with your mates and representing your club and staying fit which keeps you feeling young. I've been apart of it all for so long and I'm not getting tired of it." 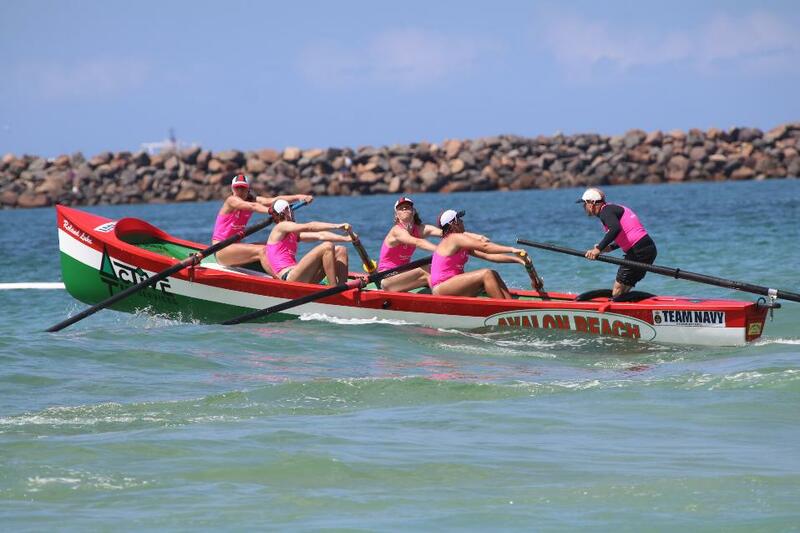 The Under 23 female Surfboat crew (Abby Ballesty, Meagan Barr, Tara Doyle, Claudia Harris and sweep Michael King) nabbed a bronze medal in front of a huge crowd after battling the same tough flat conditions as the ski, swim and board competitors. The overall team elation was capped with a first and third in the Lifesaver Relay. 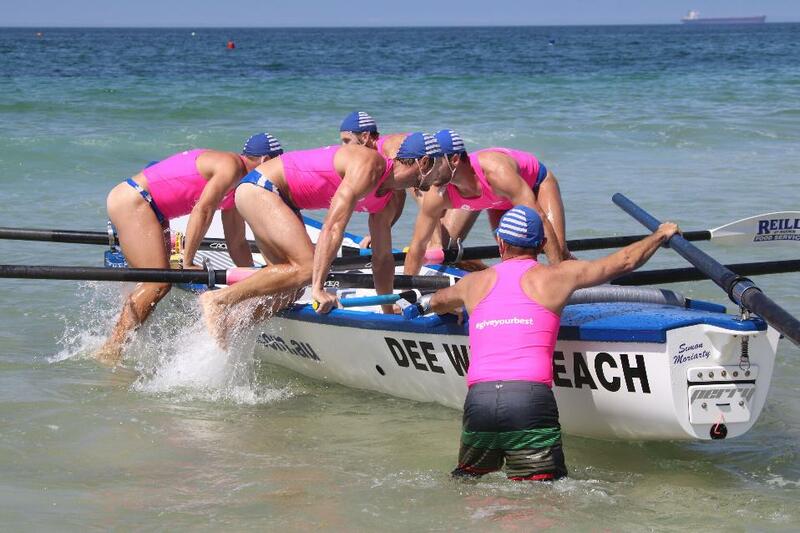 The beach sprinters, surfboat rowers and water competitors all came together to compete in the five-discipline event. The 2019 NSW Surf Life Saving Championships, proudly supported by Your local club, wrapped up on Sunday after a solid three days of competition in the Opens at Swansea Belmont SLSC. The elite level of the sport was on display in a big way as the premier events were run under blue skies, high temperatures and small surf conditions. 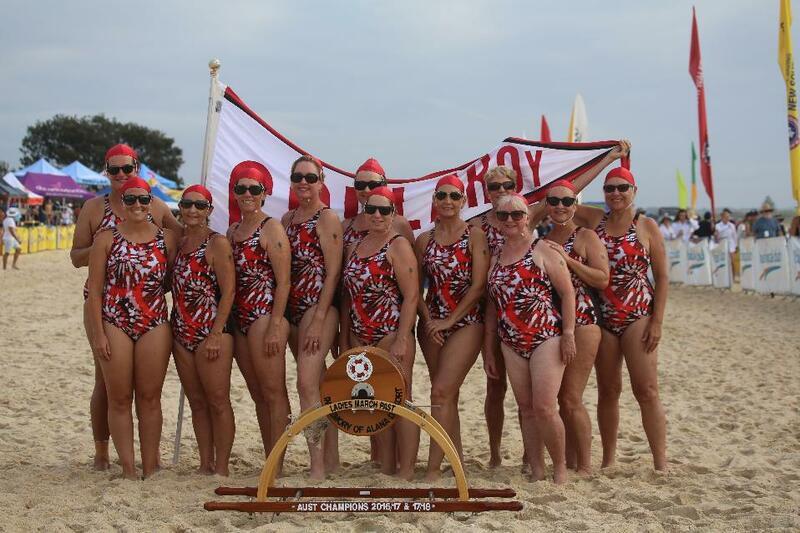 The Newport steam train ran straight through finals day to consolidate the club’s overall lead, an unassailable victory of more than 160 points ahead of Wanda SLSC and Elouera on equal points with Manly LSC for third place. Almost on cue, the Morris boys were across the line first in the key events, including Zach’s clean sweep in the U17 Iron, Ski, Board and Surf races. Mitch did the same in the U15s, with the Iron, Board and Surf races and Jake got a silver in the U15 Ironman along with a swag of medals in the teams events. Mitch Trim took out the Open Ski race, Kimberley Doyle won the U15 Ironwoman and Jackson Borg is the new NSW Open Ironman Champion after a ding dong battle in the flat conditions. “I was pretty shocked that I won in a cat and mouse with Kendrick Louis and Jay Furniss. It was very tactical, no one wanted to get a wave to take the lead but I got them on the way up the beach. I'm stunned, I'm so stoked with this win, I couldn't ask for anything more,” said Borg. The host club’s 9th place overall was well deserved with some awesome performances over the weekend from Swansea Belmont competitors. Nick Stoddart’s dead heat with Zach Morris from Newport in the U17 Board Race was heart-stopping and even the judges couldn’t call it. 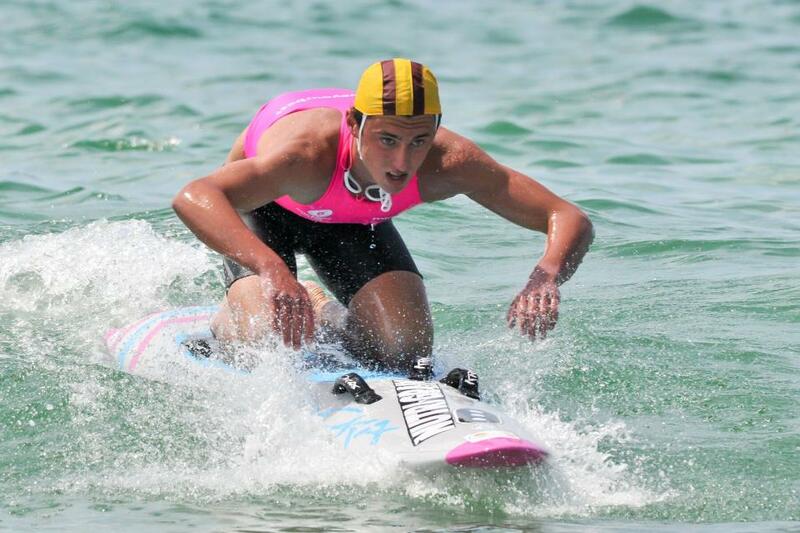 Nick was first in the Board Relay, the Board Rescue and was part of the U17 Taplin team winners. Swansea’s Ethan Coates took out the U19 Surf Race and with it, the Saxon Bird memorial trophy in memory of the late surf lifesaver. Ethan was also in the winning Board Relay team. Neighbouring club Redhead were solid in most of the events, but finals Sunday was Nicola Owen’s time to shine. First across the line time after time, the Redhead teen was virtually unbeatable, winning the U19 and Open Board races and the U19 Ironwoman, all in the space of about an hour and a half. Despite not being in peak condition, Daniel Collins still put in an impressive performance to get second in the Open Surf Race. It was a family affair for the Collins locals, with sister Jess in the commentary box for the broadcast livestream of the event, sharing her knowledge and experience of racing at an elite level with viewers at home. Daniel was surprised with his results this weekend. “It's been a great weekend with all the boys in the club and it's been awesome having my family here and having Jess back involved with the commentary this weekend,” said Collins. After taking out the overall Junior Championship title last weekend, Cooks Hill had another reason to celebrate with Bella Williams pushing out all comers with a stunning run up the beach to claim the U17 Ironwoman title. The best performing Central Coast club was Umina in 6th spot, in no small way due to the efforts of Jemma Smith. 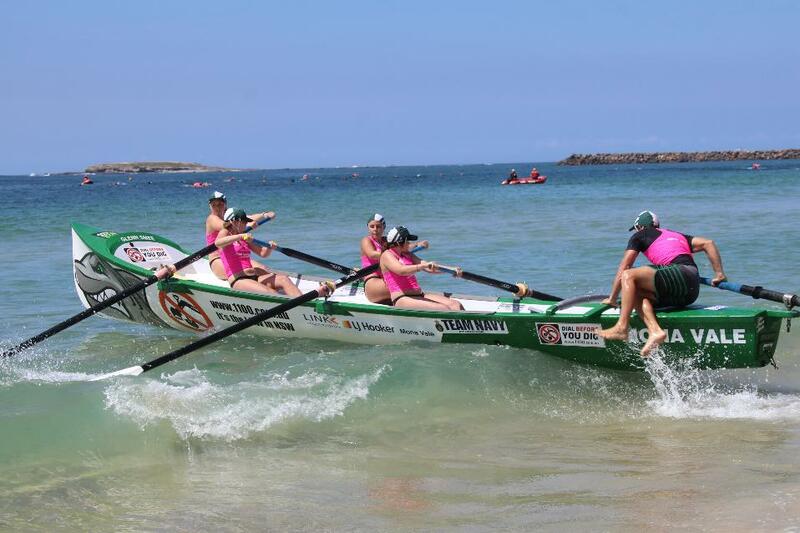 Wins included the Open Female Champion Lifesaver and the prestigious Open Ironwoman title, Open Ski and she and the team took out the Open Taplin. She was backed up by the club’s new recruit, Bailey Johns who made the move from Avoca Beach during the year and finished up winning the U19 Board Race and was second in the U19 Ironman. 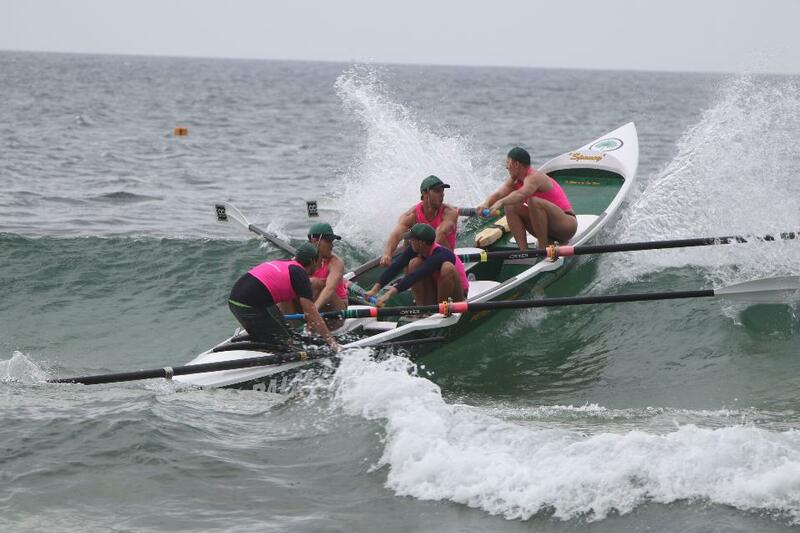 In the surf boat finals it came down to the wire in many races due to the lack of waves and the Open Men’s Bulli crew emerged victorious for the sixth time in a row. Peter Spence’s Palm Beach Patriots won the Open Women’s race by hooking onto a small surge to take them across the line. His Reserve Mens crew also won gold in another super tight race. “We've been after this title for years. We had a great start and the boys they did everything asked of them in that race. We're looking forward to Aussies. 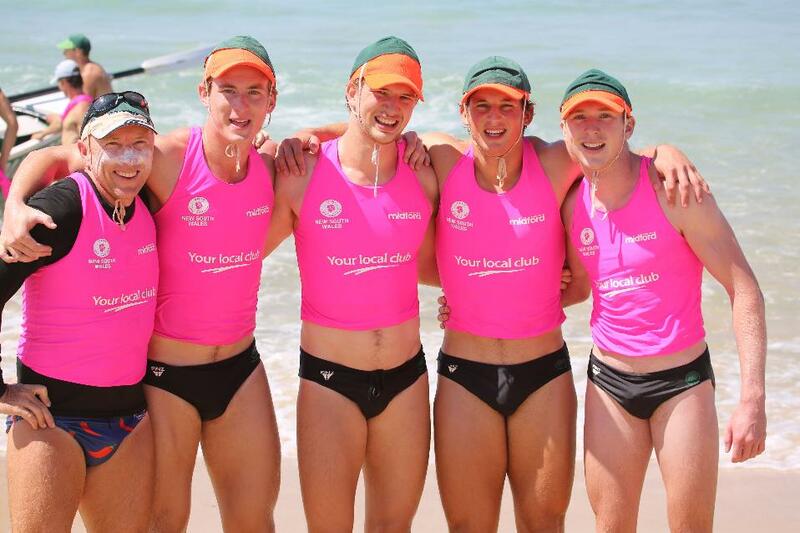 We won the boat relay yesterday and another five crews got into the finals so we're all pumped up,” said Spence. 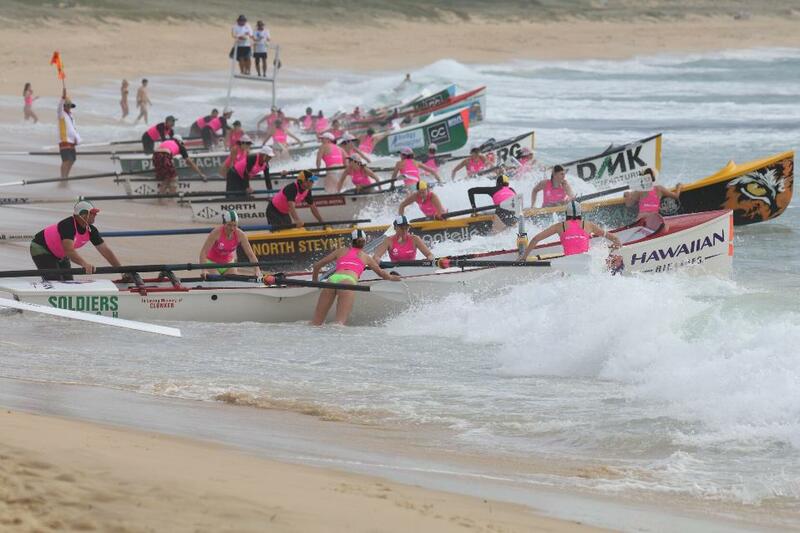 The all-female Sth Maroubra Reserve Womens crew swept by Bec Hamilton were ecstatic with their win. The Championships return to Swansea Belmont in 2020 for a fourth year and club president Graham Burge says the team are all happy to host the event again, despite the hard work. “It’s probably one of the best events we’ve ever run. The conditions were just right and the beach was left immaculate, which is great. “Our Work Force worked so hard, these guys are just trojans. We thrive on this sort of stuff and people come out of the woodwork to make it happen,” said Burge. 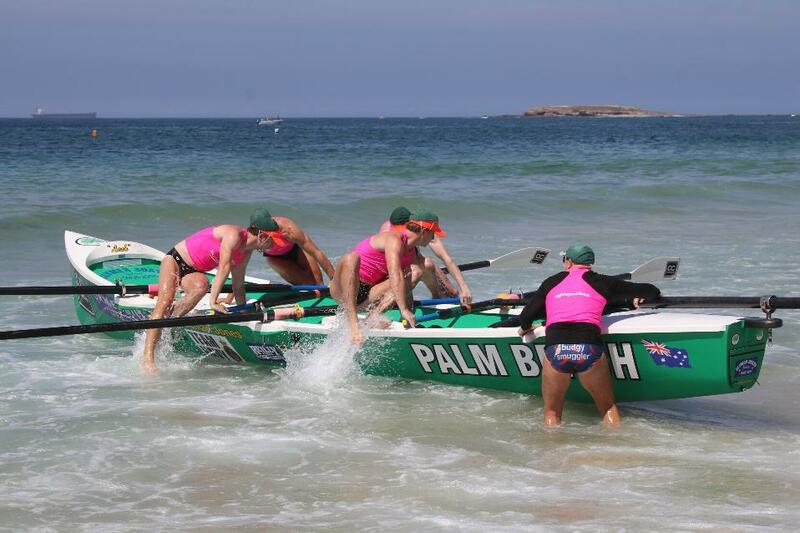 Bilgola SLSC were represented by 3 crews. 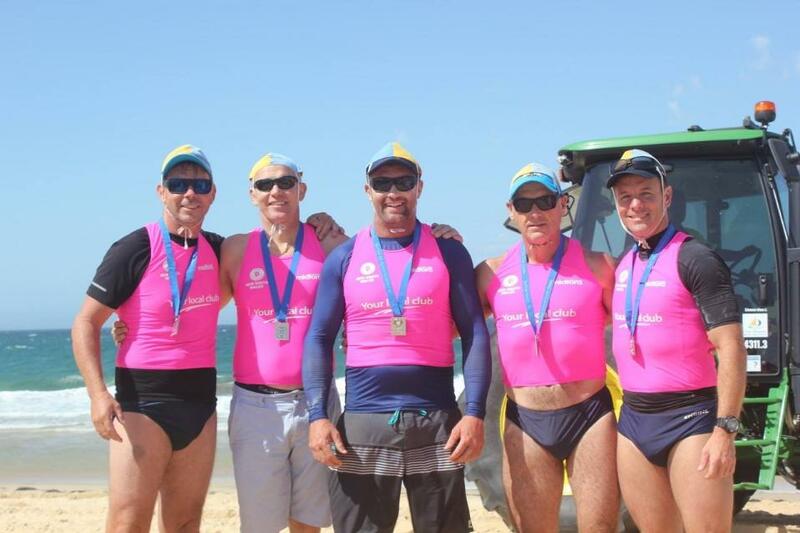 On Friday, The Bilgola “Old " 200 Masters crew flew the flag for the club, claiming a silver medal to fierce rivals North Cronulla. This is an auspicious achievement as they have achieved 15 consecutive years of podium finishes at State titles. On Saturday the Reserve Male "Bends" crew and the U23 Female "Rippers” progressed nicely through the round robin stages. Unfortunately Blacksmiths Beach resembled more of a lake than a beach in the afternoon with the "Bends" crew being eliminated in a very tight finish. Finals day on Sunday saw the Rippers row superbly to reach the final. In a hotly contested race the girls went from 2nd to 4th in the last 20m to narrowly miss the podium. Hold your heads high girls, it was a tremendous effort in tough conditions and a great weekend away for the team.